Welcome to a magical world where dreams come true! 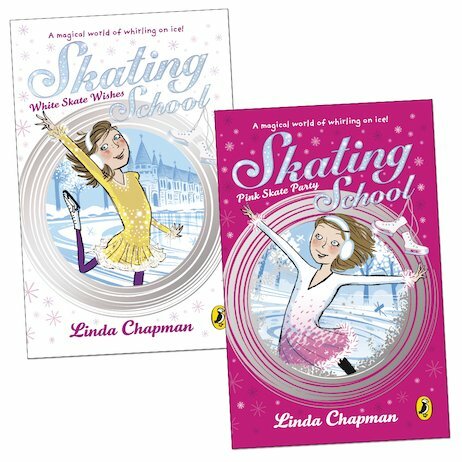 What will happen when Emily is whisked away to a very special skating school, where every week brings the chance to win a precious set of coloured skates? 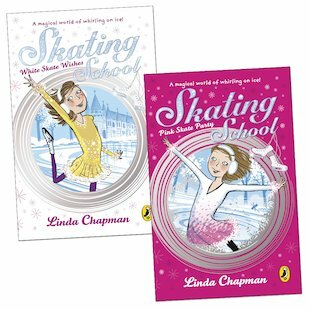 At the Skating School, the pupils live and breathe adventure on the ice – a glittering frozen wonderland where the enchanting displays of ice-dancing can’t help but take your breath away. It’s everything Emily has ever wanted. Now will she be able to skate her way to happiness – and win her own prized pair of special skates? Two books from a sparkly new series of ice-skating fantasies by the author of My Secret Unicorn. Make a gorgeous sparkly picture frame to show off pics of you and your best friends. A magical icy screensaver to brighten up your desktop! Say ‘thank you’ the Skating School way! Download some gorgeous Skating School wallpaper. Download some sassy Skating School wallpaper! i hve not read this yet but i think is going to be the best book i have ever read !!!!!!!!!!! !